Super Bowl Sunday promises to bring an onslaught of epic trailers and TV spots for all the most anticipated movies coming in 2016. Today, we get an early look at Lionsgate's Big Game spot for the fantasy epic Gods of Egypt. It's God vs God as an intense war breaks out across the land. There is plenty of hot action and big beasts on the loose in this searing sneak peek. You can watch the full minute of mostly new footage here, right now, ensuring that you'll have at least one commercial break where you can go to the bathroom this Sunday! Gods of Egypt brings Gerard Butler back to the "sword and sandals" realm, 9 years after he became a household name by portraying King Leonidas in the epic blockbuster 300. 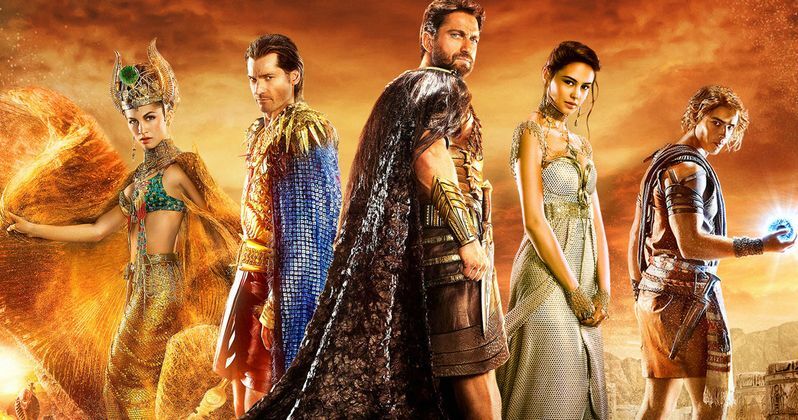 Do you think Gods of Egypt can be just as successful as 300? Or do you think it could be one of this year's early flops? Check out the latest footage set to debut during Super Bowl 50 tomorrow.